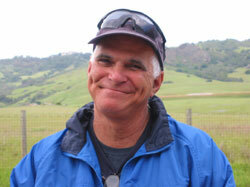 Bob Marks has been instrumental in shaping youth sports in Southern California for generations. An educator and administrator within the Los Angeles Unified School District since 1968, he has also held key leadership positions within sports organizations such as the Los Angeles Organizing Committee for the North American JCC Maccabi Games. The Los Angeles-born father of three boys coached six national JCC Maccabi Games baseball championships, compiling a record of 38-0-1, and was delegation chairperson to the 2004 and 2005 Maccabi Games. As the athletic director at Canoga Park High from 1989 to 1996, and assistant principal at El Camino Real High School for seven years, Marks administered a program that developed six City championships in softball, soccer and swimming. Serving as president of West Hills Baseball he was instrumental in the development and revitalization of West Valley youth baseball programs. As head coach of the celebrated Woodland Hills West American Legion Team, 1992–1996, his players included former and current Major Leaguers: Jeff Suppan, Randy Wolf, Connor Jackson, Kirk Birkins, Ryan McGuire and Derek Wallace.